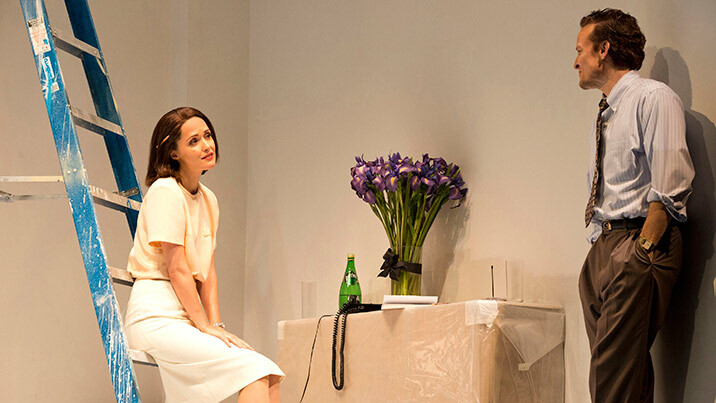 David Mamet’s extraordinary writing brings the luminous Rose Byrne back to the STC stage in this fast-talking, quick-witted and inspired satire. Rose Byrne joins Damon Herriman and Lachy Hulme in David Mamet’s extraordinary Hollywood satire. Film producers Bobby Gould (Herriman) and Charlie Fox (Hulme) came up together in the dog-eat-dog world of the American movie business. Today, Bobby is one step ahead and has the authority to green light a project of his choosing. Just this morning, Charlie landed a sure-fire blockbuster with a star attached. This is the break of a lifetime. Everything looks set for box office success - until a beguiling temporary secretary called Karen (Byrne) arrives with ideas of her own. Will Karen convince Bobby to dump the blockbuster and do what she wants? But what does she want anyway? Is she an idealist or just another Hollywood player? This brilliant satirical portrayal of Tinseltown is by one of the world’s great writers, the creator of masterpieces Glengarry Glen Ross and Oleanna. 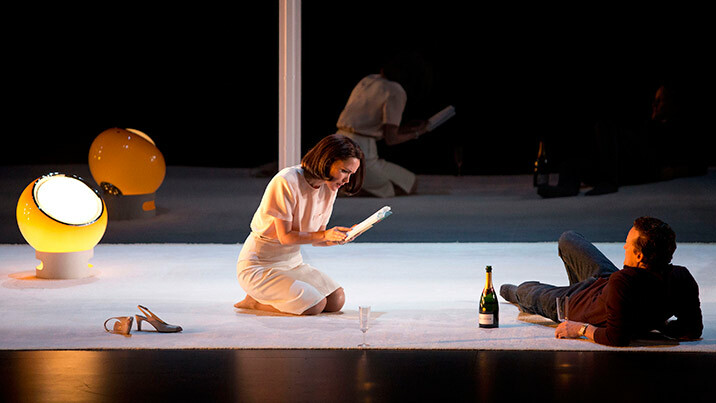 David Mamet writes dialogue so distinct – fast, funny, exacting, inspired – that it is a genre unto itself. 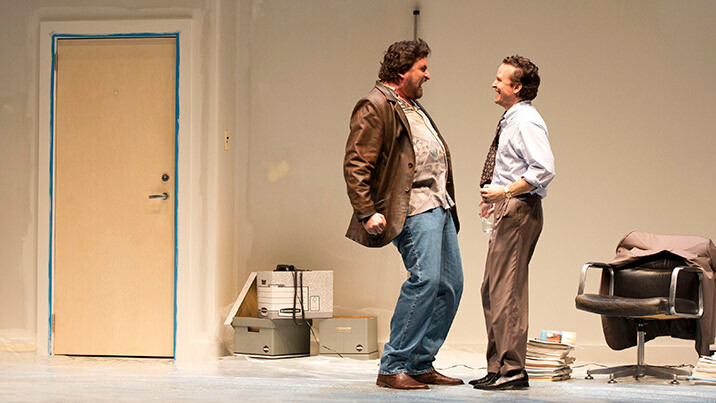 And Speed-the-Plow is overflowing with Mamet’s trademark lightning wit. Directed by STC's former Artistic Director Andrew Upton, Byrne, Herriman and Hulme bring their tremendous comedic talents to a slick new production of Mamet’s modern classic. Speed-the-Plow is one of Australia’s most highly anticipated entertainment events of 2016, and tickets are selling fast. Don’t miss out! "Tension, anxiety and cracking dialogue"
"Whether you are here as a fan of Byrne or an admirer of Mamet, you are in for a good night." "A short, strong slug of satire."